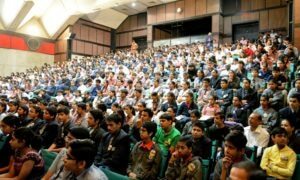 The premier managment institute, Indian Institute of Management, Ahemedabad has announced an increase in fee structure for the post graduate programmes by 11.5 percent. As a result the fees for its post graduate programme (PGP) and PGP-Agribusiness Management (PGP-ABM) will increase from the present Rs. 16.6 lakh to Rs. 18.5 lakh for the course 2015-17. Similarly, fees for its executive programme, PGPX, IIM-A has increased the fees from Rs. 21.5 lakh to Rs. 24 lakh for the batches commencing from April 2015. Nanda added that the institution has been providing financial support to the students from economically weaker background. The institute has already disbursed financial aid of Rs. 7.55 crore to 295 students in 2012-13 and Rs. 6.94 crore to 242 students in 2013-14. The Indian Institute of Management – Ahmedabad (IIM-A) has announced the induction of supernumerary seats for foreign nationals to increase the admission of management students from overseas and to bring in diversity in foreign students. 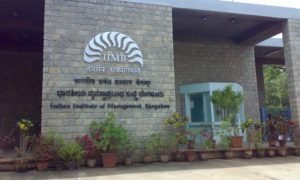 IIM-A has 431 seats for PGP and PGP-ABM courses, while supernumerary seats will be about 10 per cent of the existing seats. 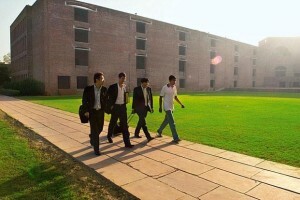 IIM-A Director Ashish Nanda said that the seats for the foreign students will be above the current capacity of foreign students. Apart from the induction of supernumerary seats, the institute has also decided to change the curriculum of its flagship current post graduate programme (PGP) and PGP-Agribusiness Management (PGP-ABM). A feature of food processing business would be included in ABM programme that would equip students to take up career in food processing sector. Vijay Paul Sharma, Chairman, PGP-ABM, added that the institute would be including students of non-agriculture background for ABM programme that would result in students becoming more diverse in terms of academic background. For the first year students, from non-agricultural background, the institute has introduced two new courses – ‘agricultural systems’ and ‘rural social and institutional environment’.